When J.R.R. Tolkien showed his manuscript to his publishers Unwin and Allen, their first impression was concern over the size and length of the story. They doubted very much whether such a book would ever become profitable, but they decided to go ahead splitting the story up into 6 different books. 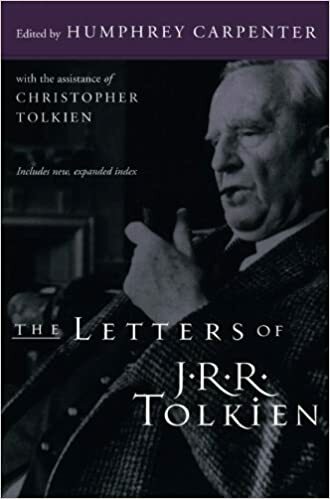 Their initial concerns were soon diminished and Lord of the Rings went onto become the most popular book of all time (1) As an avid reader of Tolkien, I often wonder why this book, in particular, stands out from so many others. These are a few reasons which appeal to me. It is a fascinating story with numerous subplots. Tolkien is no simplistic page turner but once you get into the story the pace and action never waver. You become involved in the quest and fortunes of the various characters. Real character development. On the one hand, Lord of the Rings is a great adventure story, but the book is much more multi-dimensional. In particular, Tolkien develops many intriguing characters with their own very believable qualities. The story doesn’t just rely on action but on the moral choices that the characters face and how they respond to different challenges. This element of the book is perhaps the most overlooked part of the film which condenses most of the story into action scenes. Because each of the characters is very “human” and believable we can identify with their dilemmas and choices. We feel very much drawn into their stories and adventures. The depth and scope of the book. 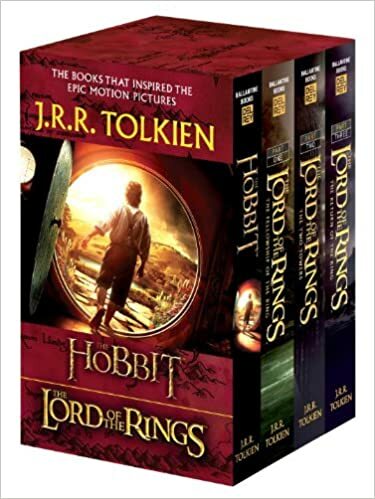 Although we can read Lord of the Rings without knowing the previous history (given in the Filarial), we get glimpses into the history of middle earth giving a sense of a parallel world complete with its own mythology and ancient history. There are frequent references to the glory days of Numenor when men and Elves used to cooperate. And even more distant memories to the time of the Valar and fall of Morgoth. To read the Silmarillion and Unfinished tales adds an extra dimension to the story in the Lord of the Rings. We learn to know more about the history of Elves such as Galadriel and Elrond. We understand the cyclical nature of the battle between good and evil. Powerful descriptions of various places. It is not easy to write detailed descriptive passages without it becoming a side issue and uninteresting. But Tolkien is the master of evoking imagery and places, which become a quintessential part of the story and book. His vivid imagination powerful conveys a range of locations from the beautiful and mystical Lothlorien to the horrors and tortures of the wastelands of Mordor. The descriptions are so powerful we feel that we are journeying with the characters themselves. This is most relevant in the passage through Mordor, it actually becomes one of the harder passage to read because of its nearly unremitting darkness. The intriguing interplay between good and evil. The Lord of the Rings is the backdrop for a fascinating struggle between the forces of good and evil. However, this struggle is not portrayed in simplistic black and white terms. Several of the characters have to struggle between doing what is right and the temptations that distract them. To give one example the contrast between Boromir and Faramir in their attitude to the ring is most revealing. However, even in Boromir, who betrays the fellowship through his desire for power, is not portrayed as just a bad guy. He has many noble qualities which are respected by even those who are let down by his actions. Similarly, there is no saccharine ending to the Lord of the Rings where everyone lives happily ever after. To destroy the ring involved irreparable pain. It is most poignant that the “hero” – Frodo, cannot enjoy the success of destroying the ring. It is a most powerful reminder of the inherent evolutionary nature of the world that nothing can stay static and we cannot so easily revert to an idealised view of the world. Tolkien has been criticised for allowing women only a small role in his books. I think this is unfair as women do play a very significant role, even if their role is not always brought to the fore. The romance between Aragorn and Arwen is barely alluded to and yet at the same time, their relationship has a dignity and intensity that is most powerful. We feel there is a tremendous undercurrent of love between the two, yet it is sublimated to the greater need of the time. It is a true story of love and sacrifice, although only given a short mention it leaves a lasting impression of true love between man and women. Shows mans capacity for good deeds and self-sacrifice.